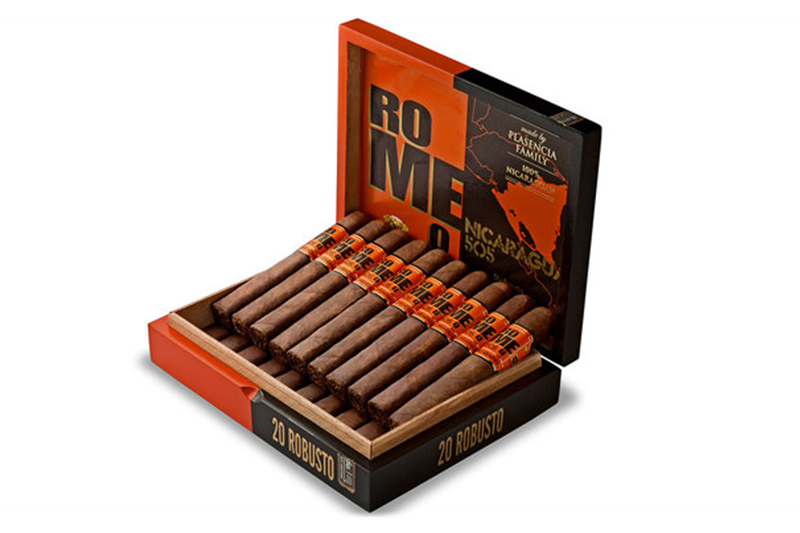 Altadis U.S.A. is preparing to ship its highly anticipated new release, the Romeo 505 Nicaragua. This cigar was first introduced at the 2016 International Premium Cigar and Pipe Retailer (IPCPR) trade show in Las Vegas back in July 2016. “505” refers to Nicaragua’s country code and is a Nicaraguan puro cigar made by Altadis U.S.A. It’s the first and only Romeo y Julieta cigar to be made purely from Nicaraguan tobacco. This cigar is made by Plasencia Tobacco S.A. and features a Cuban-seed wrapper and binder from the Jalapa region. The filler consists of tobaccos from Condega, Estelí, and Jalapa. It’s a medium- to full-bodied cigar that comes packaged in 20-count boxes. Romeo 505 Nicaragua is the third in the Romeo y Julieta lineup, joining Romeo Anejo and Romeo by Romeo y Julieta, which was a collaboration project between Altadis U.S.A. and Boutique Blends, run by Rafael Nodal. Romeo 505 Nicaragua is available in four vitolas: Robusto (5 1/2 x 50), Toro (6 x 52), Churchill (7 x 50), and Piramides (6 1/2 x 54). The cigar will cost between $10 and $10.75 per stick. This cigar is now available at Casa de Montecristo, Montecristo cigar lounges, and JR Cigar locations across the nation. A widespread release to other retail partners of Altadis U.S.A. is planned for March 2017.